Star Wars Weekends has once again arrived, kicking off today at Disney’s Hollywood Studios theme park at Walt Disney World. And at the end of the day, the most highly-anticipated performance of the event did not disappoint this year as Snig and Oopla held their Hyperspace Hoopla, concluding with the ever-popular Dance-Off with the Star Wars Stars. 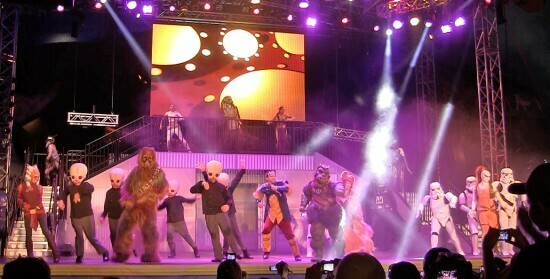 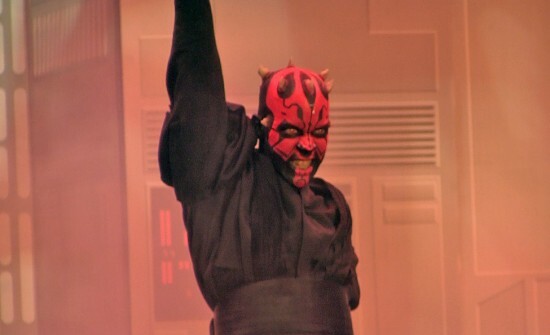 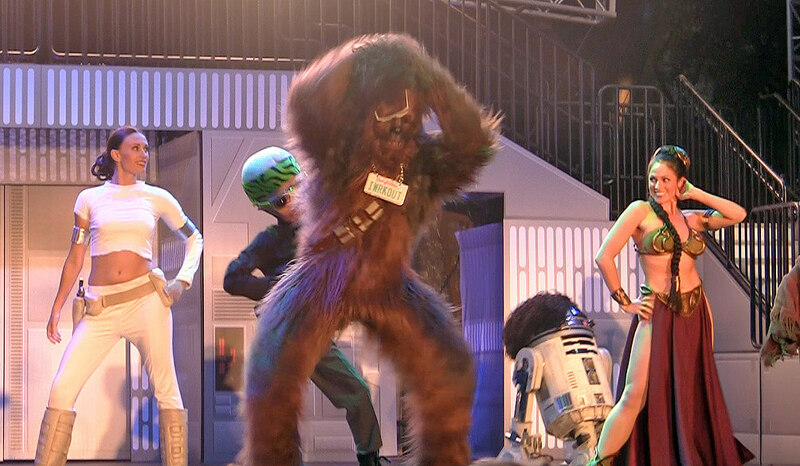 The usual characters of Chewbacca, Darth Vader, Emperor Palpatine, and C-3PO among others were joined by newcomers to the Dance-Off Darth Maul and Slave Leia at this year’s show, included in full in the video below, followed by each dance number separated out into highlight videos. 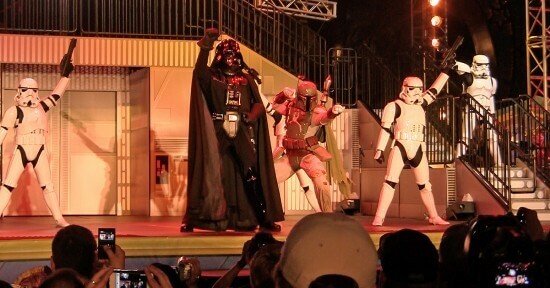 Star Wars Weekends concludes with the Dance-Off with the Star Wars Stars each Friday, Saturday, and Sunday for the next four weekends, all included with admission to Disney’s Hollywood Studios.